Bigger and better is the name of the game for bodybuilders. For the sake of public show, bodybuilders will adhere to a strict weight training and diet routine that most people would find unnerving. But at some point, the bodybuilding goes too far. If a bodybuilder or any other weight-training buff gets too preoccupied with the game, it can lead to a psychiatric disorder called muscle dysmorphia (MD). Often called “bigorexia” by media, muscle dysmorphia has been on the rise in several countries. According to ABC News, as many as 2 percent of people in the United States have a body dysmorphic disorder. Experts believe about a quarter of those have a problem with bigorexia (1). That number might sound small, but it actually means that 1 in 50 Americans are struggling with general body dysmorphia. In addition, one older study published in Comprehensive Psychiatry found that MD symptoms affected over 8 percent of bodybuilders (2). The study used a structured interview to assess 108 bodybuilders, of which some had used steroids and some had not. Researchers found that all participants who reported MD symptoms had also used steroids. Several had even experienced bouts with anorexia in the past. Another study on the topic was also conducted in 2017 and published in the journal Sports Medicine (3). In this review, researchers looked at 31 different studies in order to assess whether muscle dysmorphia plague bodybuilders more than non-bodybuilder resistance trainers. The study found that bodybuilders did show a greater tendency toward MD symptoms. However, available studies were deemed low to moderate quality. Large-scale studies haven’t been conducted on this problem, and many people—healthcare professionals included—are unaware of the disorder. Maik Wiedenbach is an Olympic class athlete and personal bodybuilding trainer who’s seen the devastating effects of MD firsthand. In the healthcare channel Tonic, Wiedenbach relates the tragic story of a friend who had the disorder (4). His friend was obsessed with bodybuilding, pushing away responsibilities and loved ones in order to work out and lose fat. He eventually wouldn’t leave the house and began a cycle of drug abuse, Wiedenbach told Tonic. Although Wiedenbach tried to help, this friend tragically ended his life as a result of his obsessive-compulsive behaviors. It’s important to note that weightlifting and bodybuilding are not the same as bigorexia. The OCD and Related Disorders Program points out that many people enjoy exercising and weightlifting (5). However, the difference in people suffering from bigorexia is their preoccupation with their bodies and muscle-building. These people often worry that they are too small, even though they often have large muscles. They also may take great pains to avoid looking or showing off their bodies. Perfectionism is their goal. But as in the case of Wiedenbach’s friend, that goal can have terrible consequences. Because the pressure for the perfect body has become such a mainstream message today, more research needs to be done on muscle dysmorphia. 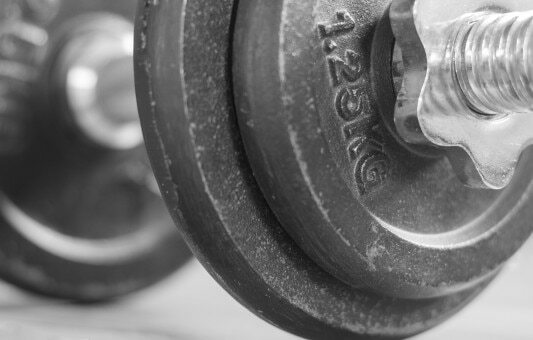 Until then, weight-lifters and bodybuilders may have a high risk for the disorder. And family, friends and healthcare providers alike should all stay on guard for MD’s dangerous symptoms. Are protein supplements safe for teens? Find out here. Benitez, G., Kapetaneas, J., & Valiente, A. (2016, August 4). Bigorexia: When the Obsessive Desire for Muscles Is a Dangerous Medical Condition for Some Men. ABC News. Retrieved from https://abcnews.go.com/Health/bigorexia-obsessive-desire-muscles-dangerous-medical-condition-men/story?id=41123534. Pope, H. G., Jr., Katz, D. L., & Hudson, J. I. (1993). Anorexia nervosa and “reverse anorexia” among 108 male bodybuilders. Comprehensive Psychiatry, 34(6), 406-409. Retrieved from https://www.ncbi.nlm.nih.gov/pubmed/8131385. Mitchell, L., Murray, S. B., Cobley, S., Hackett, D., Gifford, J., Capling, L., & O’Connor H. (2017 February). Muscle Dysmorphia Symptomatology and Associated Psychological Features in Bodybuilders and Non-Bodybuilder Resistance Trainers: A Systematic Review and Meta-Analysis. Sports Medicine, 47(2), 233-259. doi: 10.1007/s40279-016-0564-3. Gill, J. (2017, April 28). ‘Bigorexia’ Is Plaguing the Bodybuilding Community. Tonic. Retrieved from https://tonic.vice.com/en_us/article/vvaq3y/bodybuilders-have-their-own-version-of-anorexia. Silverman, M. (2011, February 18). What is Muscle Dysmorphia? OCD and Related Disorders Program. Retrieved from https://mghocd.org/what-is-muscle-dysmorphia/.